To the south and to the east of Key West and the Florida Keys is the Atlantic Ocean which is held in check by the third largest coral reef in the world. This coral reef provides a natural harbor from the confluence of capricious ocean and sea currents, which have directed many to Key West willingly, and sometimes unwillingly, from the Atlantic Ocean, the Gulf of Mexico and the Florida Straits. The very name, Key West, is not merely an indication of geographical location, but it is a transliteration of “Cayo Hueso,’ a common name based on its geological appearance resembling the color of bones. Unique to Key West is its geology of oolitic limestone in the surface, deep below the surface and rising beyond the surface. It is the perfect host for wells and cisterns to collect rain water. The wells are lined with concrete made from the oolitic limestone, which provided potable water protected from saline ocean water and bacteria. 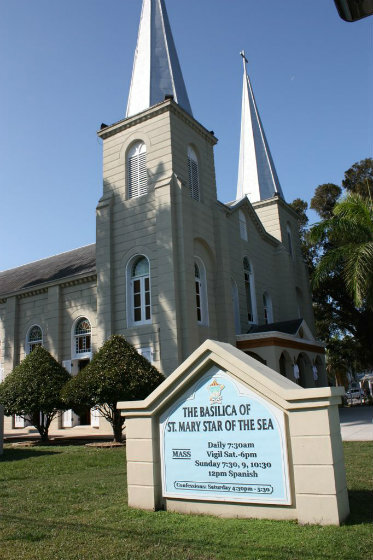 The providence of God’s creation in the unique geography and geology of Key West and the Lower Keys provided a viable dwelling for His creatures and thus stability for the development of peoples and for the propagation of faith.